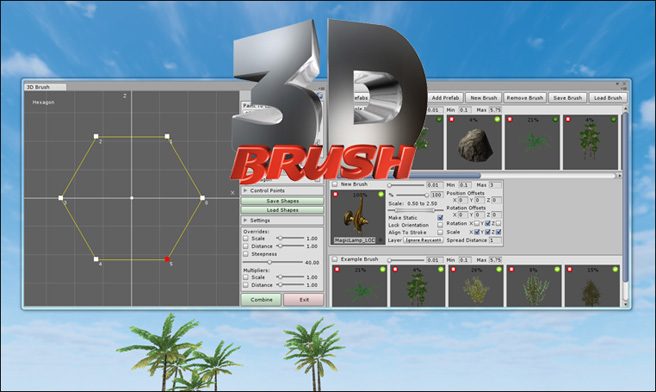 3D Brush allows you to quickly paint prefabs to your scene with all of the features you would expect and many more. 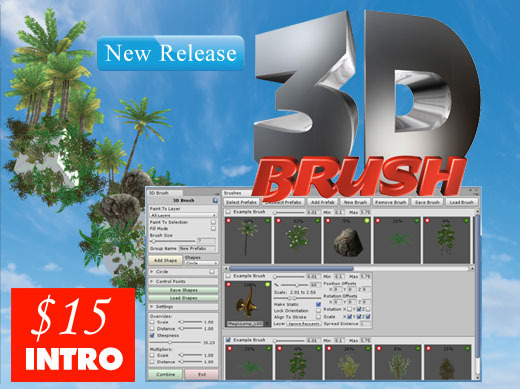 Easy to use and intuitive controls. 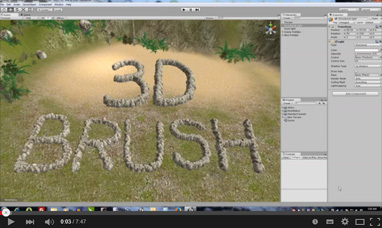 You can also create custom shapes which can then be used as stencils for painting or exclusion. Includes a new distance feature which prevents overdraw of prefabs for better performance and more natural looking scenes. As well as a steepness feature for painting around cliffs and steep terrains.